This reference survives today in the expression “peppercorn rent,” which is a legal term that means delivery of a contract or goods for a nominal consideration, such as the transfer or gifting of property for one dollar as a token of good faith. appearance & aroma Brown or black with a pungent aroma. good vs bad Keeps fresh longer than ground black pepper. culinary Add whole to simmering foods or add freshly cracked peppercorns to cooked foods, as well as salad greens, dips and vegetable cocktails. household Place along windowsills and doorways to deter common household pests from entering. aromatic Infuse slightly crushed black peppercorns in oil to add to perfume blends. Whole peppercorns can also be added simmering potpourri spice blends. industrial The essential oil of black pepper is used in the perfume and cosmetic industries. 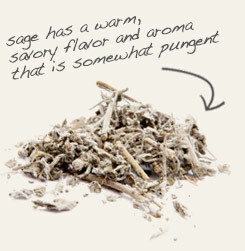 Black pepper compliments sage in poultry rubs. 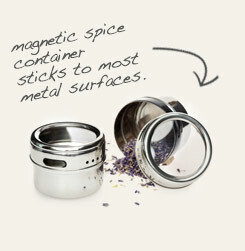 Keep whole peppercorns fresh in this stainless steel container. Sharp and spicy. Blends with many other herbs and spices. Black peppercorns are harvested when they begin to turn from green to yellow. Depending on the region, they and are then treated to a hot water bath and then dried in the sun or via forced hot air by machine. The majority of black pepper sold in the United States come from India, with the most popular originating from the Malabar coast. 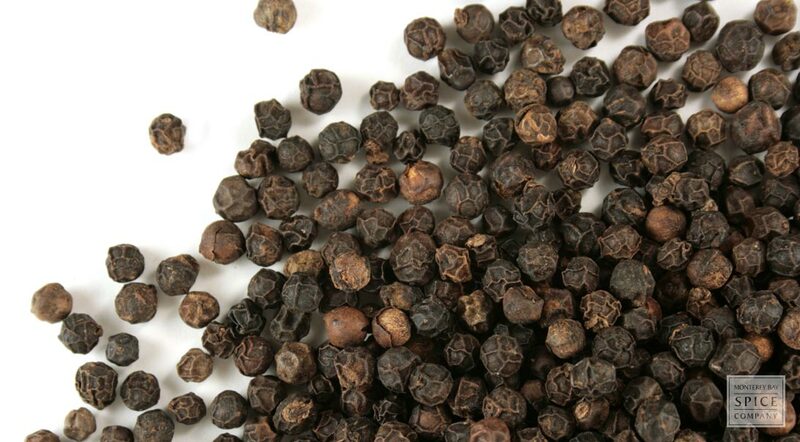 Tellicherry black peppercorns also come from this region, while other popular varieties are exported from Malaysia and Vietnam. Our organic black peppercorns are obtained from organic farmers in Sri Lanka. 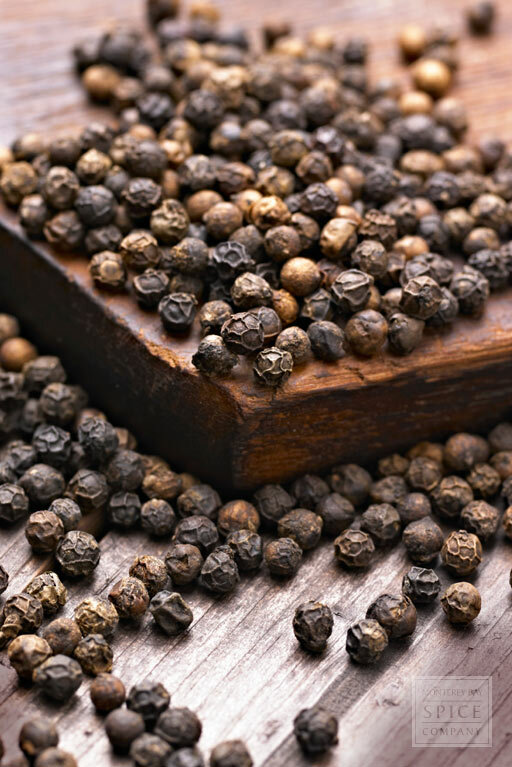 Because black peppercorns are fermented differently than other types of peppercorns, they have more robust flavor and pungency. 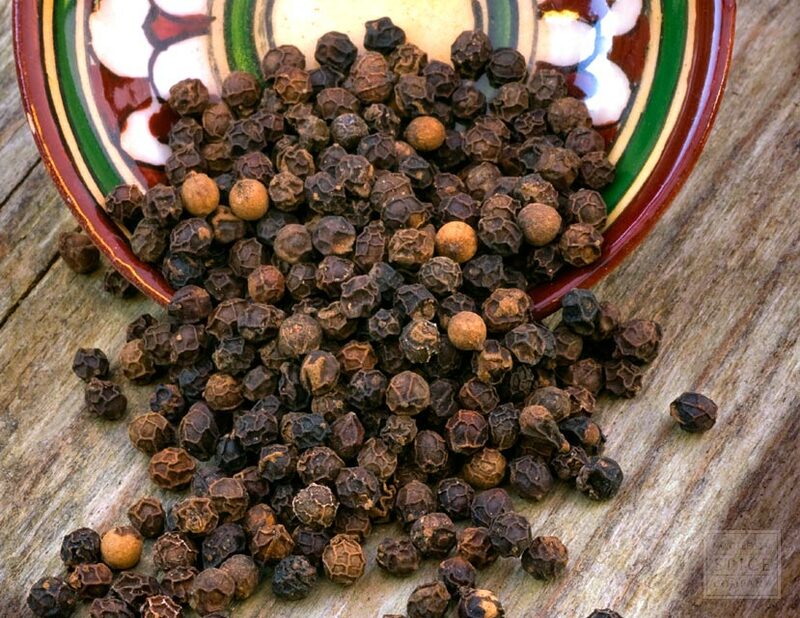 This is because the chemical components that lend the peppercorns their spice, namely rotundone and piperine, are in higher concentration because the hulls of the fruits are left in place.